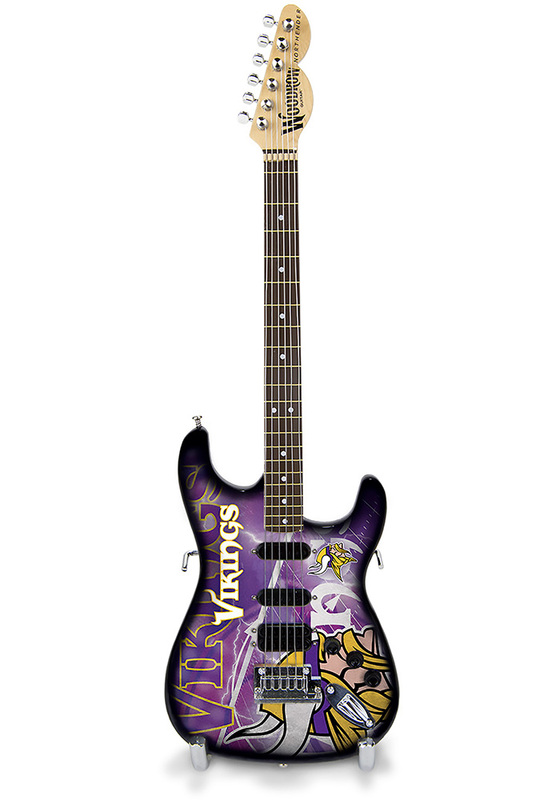 Decorate your desk or jam space with this Minnesota Vikings Mini Collectible Guitar. Show off your passion for music and sports at the same time with this 10" model. This mini guitar is a 1:4 scale replica of the famous NorthEnder electric guitar. Includes stand and display case.